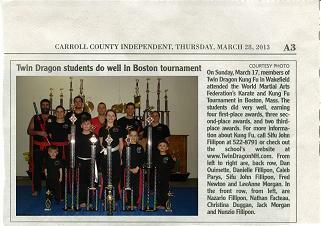 for Honors received at Martial Arts Tournament. 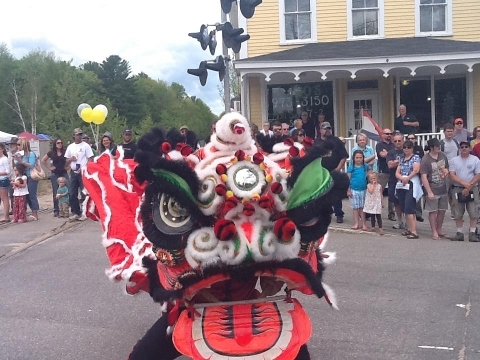 Twin Dragon Kung Fu Performs Demonstrations and a Lion Dance during the parade at Wakefield Pride Day. 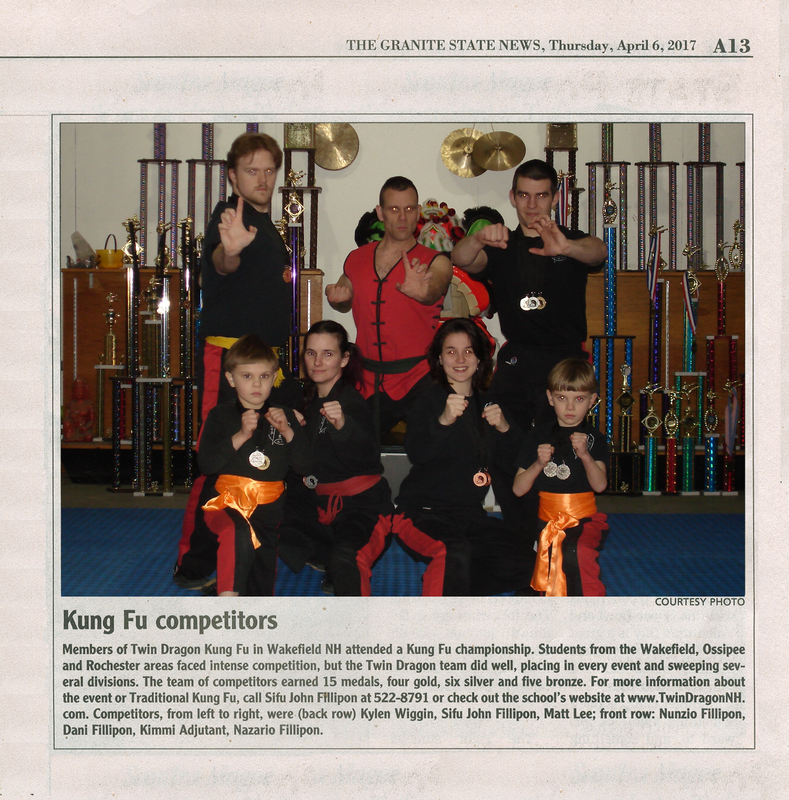 at the Union School House in Union NH. 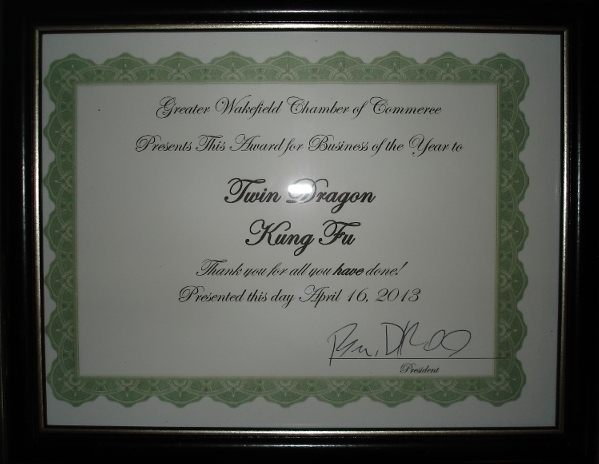 for being awarded Business of the year by the Greater Wakefield Chamber of Commerce. 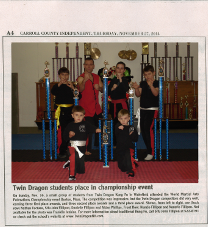 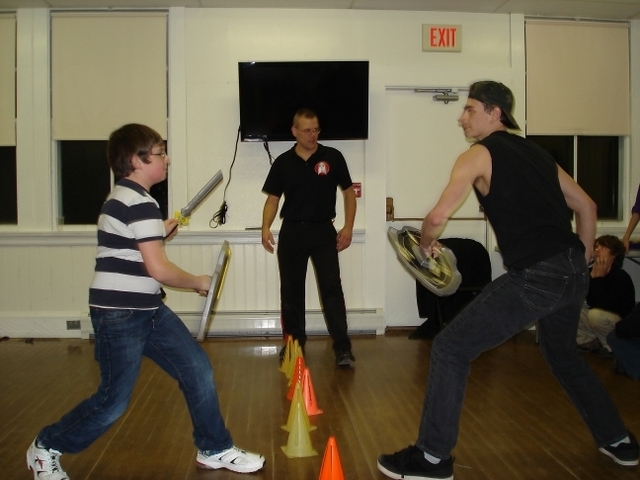 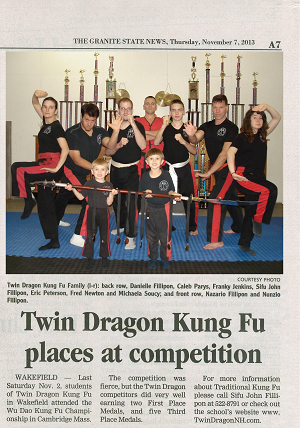 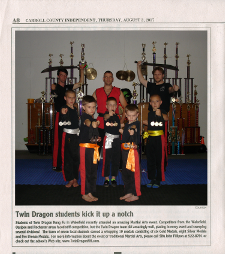 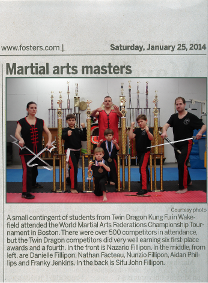 Scroll down to see more exciting News Stories and Local events involving Twin Dragon Kung Fu students. 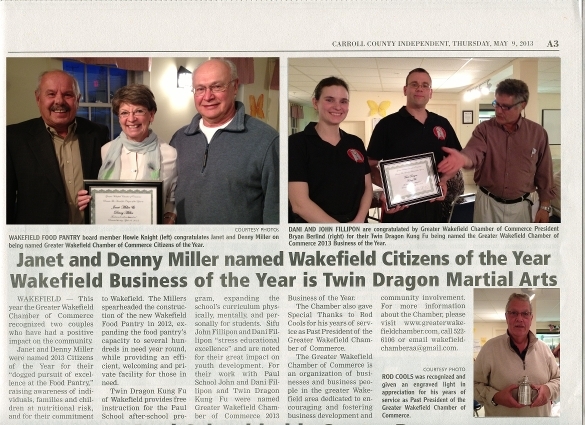 * This link opens in a new window at the Chamber of Commerce website.